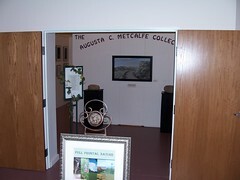 The "Sagebrush Artist", Augusta Corson Metcalfe (1881-1971), a single woman homesteader, recorded both the hardships and the beauty of the land along the Washita River in paintings, drawings, and sketches. 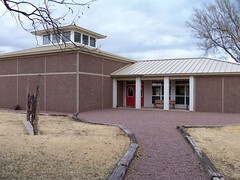 Memorialized in the Oklahoma Hall of Fame and the Cowgirl Hall of Fame, Augusta's artwork has appeared in galleries throughout the United States. 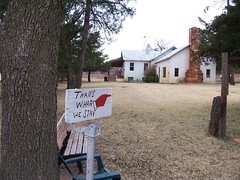 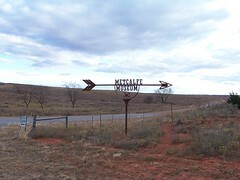 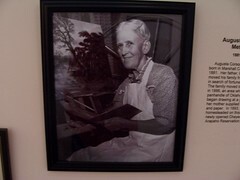 The family homestead, numerous memorabilia, and her art work housed in a new art gallery, have been preserved by her son, Howard, and is open to the public with no admission. 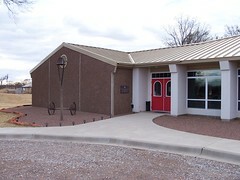 Break O'Day Farm & Metcalfe Museum is open Tuesday through Saturday 10:00 am to 5:00 pm from March 1st through November 30th.